The White House, seen from Lafayette Park. 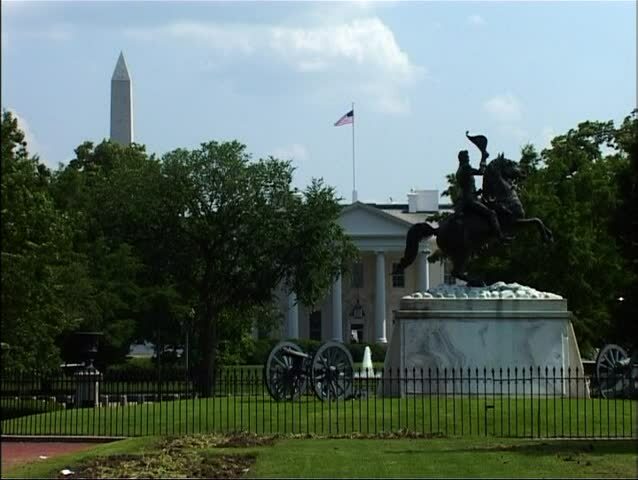 This park is located directly north of the White House on H Street and Pennsylvania Ave. The equestrian statue was installed to honor Andrew Jackson. 4k00:10Split, Croatia - April, 2016: Stone building with a bell tower near a stone wall. hd00:18CHIA COLOMBIA - JULY 2012: People walk at Central Plaza. Timelapse. 4k00:21Mobile, Alabama, USA - April 29, 2015: The historic fountain in Bienville Square in Mobile, Alabama, USA. The fountain dates from the 1890s. hd00:07Sacramento, California - August, 2013 - Wide shot of Tower Bridge. 4k00:30SINGAPORE - CIRCA APRIL 2015: POV, walking on Orchard Road, shopping center of Singapore, steadycam.